Do you like Warbot.io? Share it with your friends. Warbot.io is a great multiplayer shooter from the popular .io games series. 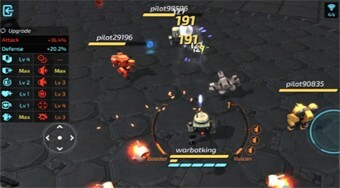 In this game, your task will be to move a combat robot across the board and use fire to eliminate the enemies and robots of other players from around the world. Collect various bonuses, gold coins and then buy useful enhancements for them.